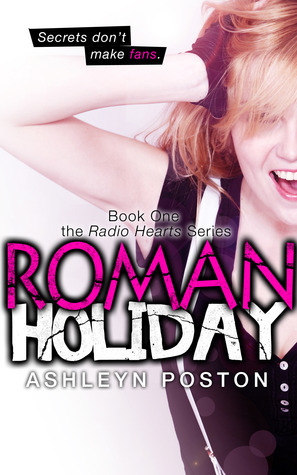 This week's teaser is from Roman Holiday by Ashleyn Poston. I haven't started this one yet, so I just randomly opened to a page for a quote and I landed on a doozy! This book is definitely going to make me laugh, I can already tell. “Ooh!" Maggie's voice raises on octave with interest. "Do tell! Cute? Tall? Hunky? Dorky? Sneezy?" Eighteen-year-old Junie Baltimore is glad the band Roman Holiday is dead, done, so last year. She can finally take their wannabe rock songs off the jukebox in her late father's bar and introduce her simple-minded peers to real rock 'n roll. It's the perfect plan―until she accidentally crosses paths with the estranged lead singer, Roman Montgomery, and finds herself oddly attracted to his quirky humor and hipster red suspenders. He isn't half-bad, really. In fact, he likes rock 'n roll, too―and he has a killer arm tat. But Roman is hiding a secret that is slowly eating him from the inside out. The truth is buried somewhere beneath his guarded emerald eyes, but is Junie willing to risk everything―including her late father's bar―to find out what it is? Because guys like him never fall for girls like her. Not even in love songs. Who is she kidding? It's an easy choice... right? For more about Roman Holiday check out these sites! Ha that's funny. That sounds like a really good book. Definitely adding to my TBR list. This teaser is pure genius!! The book sounds interesting too!! Definitely going to check this one out! Hadn't heard about it yet, but sounds like a fun read and a great teaser you picked out! This one sounds really cute, actually. It's not one I've heard of, but any book with music is basically one I WANT to read.